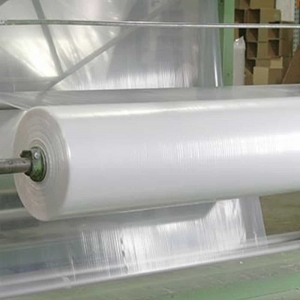 Shrink bundling is a term for an application which uses single wound film to encase a product, seal it and shrink it in a tunnel. This film does not shrink in the tunnel, but as the film cools down. Most often, two rolls of film are used at the same time. They are sealed together as the package passes through the wall of film and another seal is made on the back of the package. This film is usually used in conjunction with high speed pieces of equipment.